﻿ Da Nang Pacific Hotel (Vietnam) | FROM $13 - SAVE ON AGODA! "Big room and clean !" Have a question for Da Nang Pacific Hotel? "The Da Nang Pacific Hotel is Reasonable Price of Services, Room Facilities and a variety of Breakfast." "Good location for city life." Located in the heart of Danang, Da Nang Pacific Hotel is within close proximity to popular attractions like the Opera Theatre, Han River, shopping centers, and central business district. 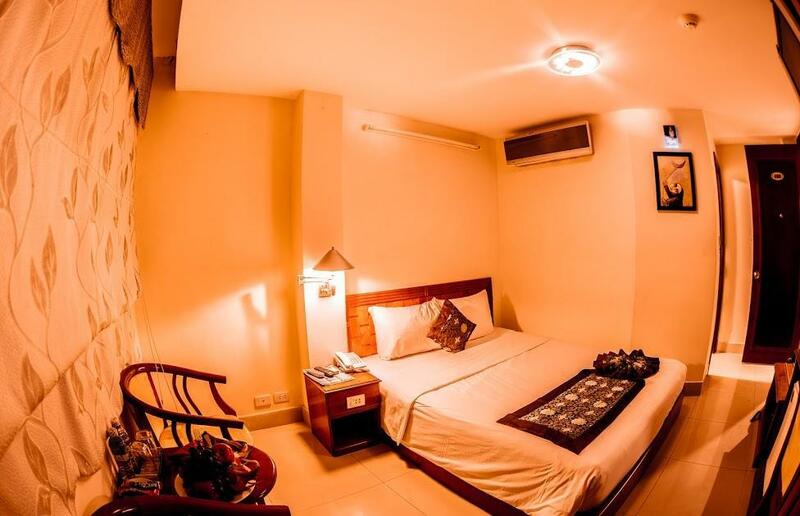 Just 10 minutes away from the international airport, Hans market, and Cathedral and Museum of Champa's culture, the property provides an excellent location for your stay in Vietnam. Featuring 58 rooms, they have amenities like air conditioning, cable TV, a mini bar, IDD telephone, and a bathtub with hot water for your convenience. 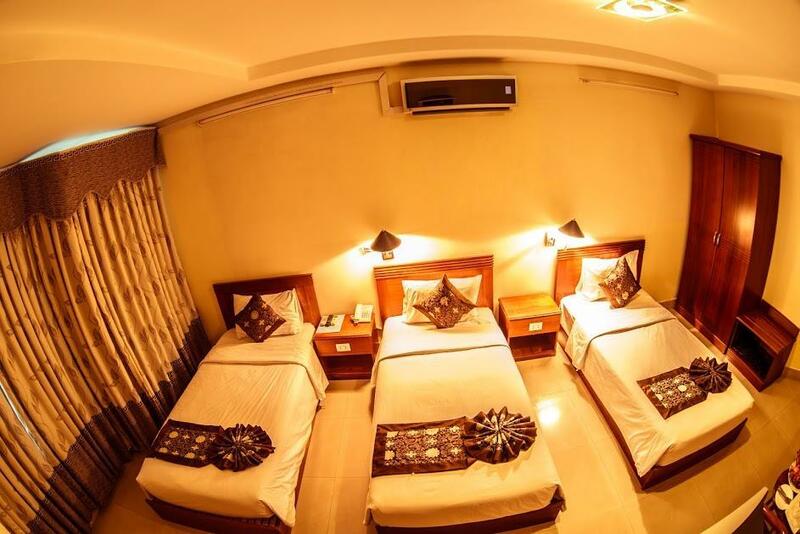 They also boast hotel facilities like a sauna, steam room, Internet access, meeting room with capacity for 100 people, laundry service, and restaurant and bar for leisure. Very accessible and the staff was accommodating. Our flight was delayed multiple times so we arrived late. - Walking distance from the Dragon Bridge and DHC Marina - They offer complimentary breakfast on your first day. - There's also a good chicken restaurant nearby. It is exceptional. The hotel is well located. I was strongly impressed by staff hospitality, even the safeguards. They were friendly, helpful & kind. big room and clean ! Very good location, rooms were clean and large.... superb. The Da Nang Pacific Hotel is a very centrally located hotel that is very convenient for the walking tourist.... lots to see within walking distance of the hotel. 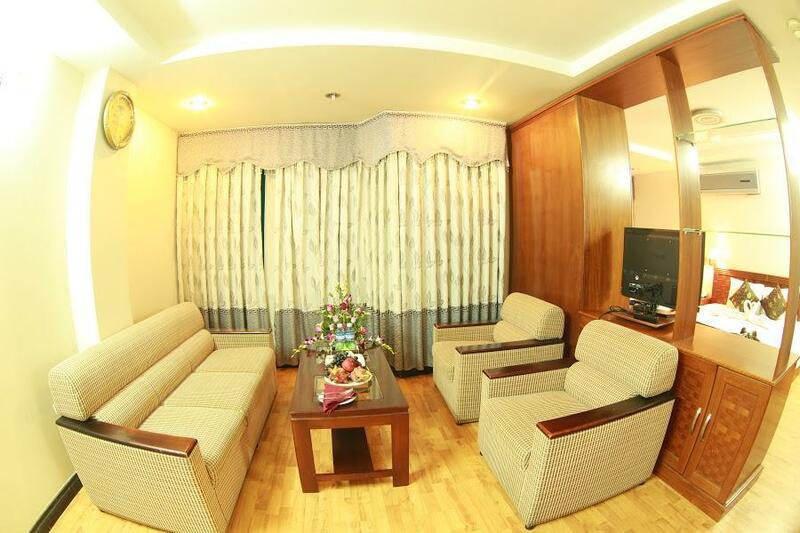 The rooms are very well appointed and also very clean. Some really good food and shopping around the hotel area. Would highly recommend to friends to stay at this hotel when visiting Da Nang. We booked for a standard room and was upgraded to a spacious superior room that is suitable for me, my wife and my two daughters. Our stay at the hotel is very pleasant as the staff helped us arranging our tour since we did not book any tour package earlier. A little noisy during the midnight. may be our room is near the night club or something but it's ok because my daughters were very tired from the swimming and cycling around the town. The hotel is near the airport and the cabbies know their way around. There is no need to haggle over the fares as at the airport there are ample counters which sell taxi coupons. The fare is a standard USD7 and the trip is short and pleasant. We were presently surprised as the hotel is a short distance away and for the price we paid we couldn't ask for a better accomodation. The buffet breakfast has sufficient choices to vet your appetite and the staff are very helpful. There are ample coffee shops and restaurants to cater to our culinary needs and they are just within walking distance. The whole stay was considered good except that it was marred by our trip to Ban Na Mountains resort when we were given a non English speaking guide. However the hotel was quick to compensate after a complain was made as they knew that we don't speak Vietnamese and there is no way a tour can be completed without knowing what features are represented by the various artifacts or structures. 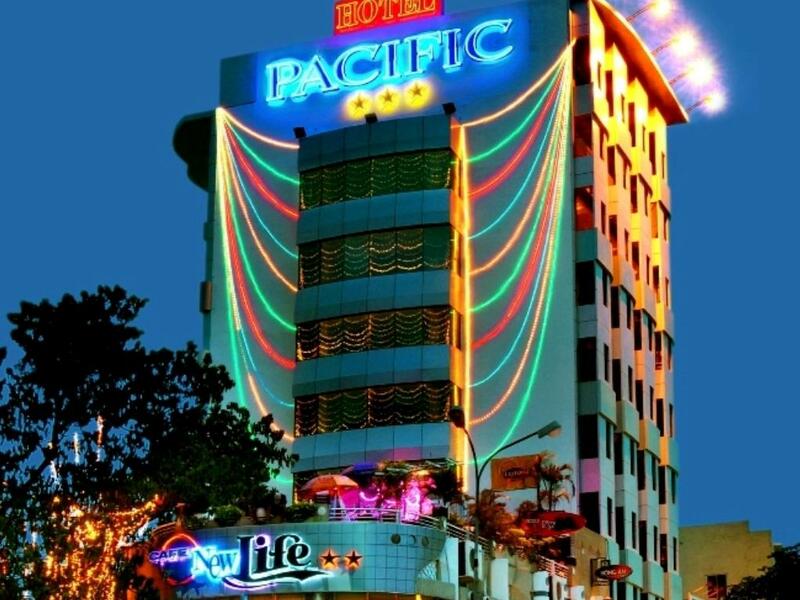 Da Nang Pacific Hotel is located in the center of Da Nang. It is about a 50K Taxi ride from the airport. There are plenty of restaurants around the hotel and the riverside is only about a 5min walk away. The room was spacious, but lacked style. It was OK for the night, but we have experienced better places in a similar price range in Vietnam. The staff was helpful and attentive. We tried to rent a scooter at the hotel, yet in the end chose not to, because the price was far above average. The location is okay. But around the hotel don't have market. I have to walk very far to buy toiletries, and the lobby don't have air condition! Beside that, the floor inside the room is oily, i have to wear shoes when i walking in the room. The bath area also very small, just got 2' x 2'. I have to open the sliding door when i bath. Good location, but it's an very old hotel. Anyway, I got what I pay for, acceptable price. 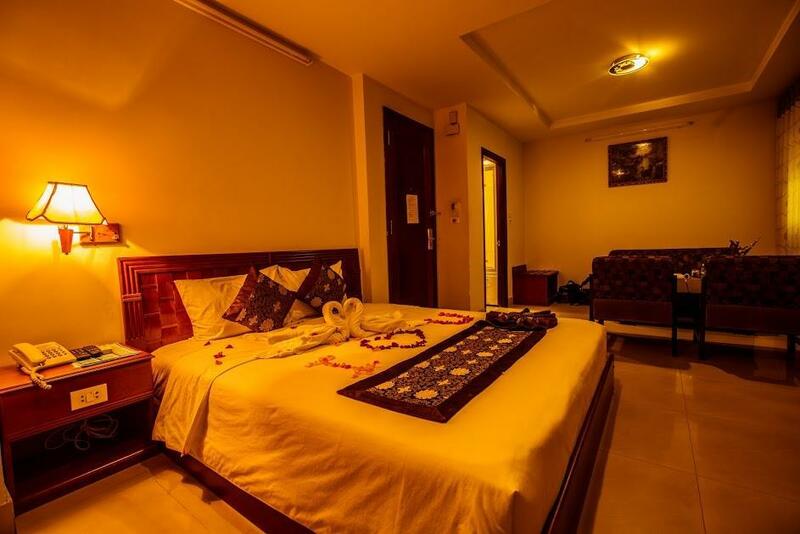 Th hotel is conveniently situated in the centre of Danang. It's clean and well maintained. It's a good, pleasant business hotel. The staff were courteous and efficient throughout our stay; the hotel was clean and well maintained, and it's within easy walking distance of most places in Danang. We were happy with this accommodation especially food was various and delicious. The staff was helpful but Tv wasn't working and we had to take a shower with cold water in the chilly weather,which needs improvement for more potential travellers. Large room. Quiet surrounding. Near airport. Several cockroaches in the room:( Big group of customers was in the breakfast just before me in the early morning. Most of food was finished an only something left. Staff said that more breakfast is coming and I wait 1.5 hours but it was not long enough. My stay was very enjoyable, he was good local food around the corner, walking distance. Lots of shopping around, i was shopping for Honda C70 parts and most of the motorbike spare parts shop were near the hotel. Rooms were very cleaned and the room was made up everyday. Breakfast was adequate but they did no refill the food when it has run out, should be replenish was finished. Good sized rooms and very clean. 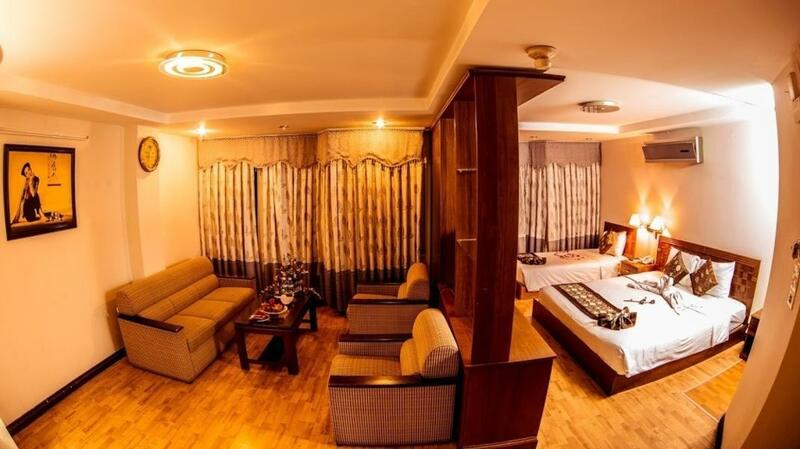 This hotel is very centraly located with a short taxi ride from the airport. Very clean rooms and the staff were always smiling and helpful, English was not a problem. The only negative would be the breakfast, but that isn't exactly a train smash, oh and the noise from the karaoke bar adjacent to the hotel, but it usually stopped around 11pm. Would I stay there again? Probably not, mainly beacause there are so many other hotels in and around Danang for the same price that are quieter with a better offering of breakfast. Exterior of hotel looks a little run-down, but the room inside was clean. The shower did not have hot water though. Great location - halfway between the Marble Mountains and Giant Buddha Statue and nearby to the riverfront with many restaurants. The price, the location, and some rooms have glass sinks with a tap that works like a waterfall. Other travellers have complained about the noise, and it is true. There is a mobile phone shop blasting Jingle Bells (only the chorus played on a 1970's casio keyboard) from 8am until the evening. Sometimes there was a break for lunch. So if you want to sllep past 8 it is still possible, but the trick is: -earplugs -turn on the bathroom fan, which will drown out the street noise. However if you can get a room 6th floor or above, then you probably won't hear anything. Breakfast had a wide selection, especially of vietnamese food but quality was average, but nice setting on the 9th floor with views of the city. The selection varied daily. Another good thing of the hotel was that the clientele was mostly vietnamese (hence hotel is not a tourist trap) and the staff was friendly and helpful. Good value for money if you avoid the noise-mitigation tips above. We stayed in room 306 if you want to see the weird sink. Many apologies that I didn't take a photo! we stayed 1 night in the da nang pacific and were pleasantly surprised by the quality of the room, amenities and most importantly the service. the staff were very helpful in organising a tour to bana hill as well as our ongoing transport. very good value for money.